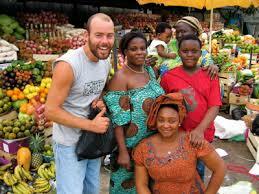 Africa is multi-racial continent because there are more than 800 black African races. The population of the modern time also includes white people from other continents. The native people are dark complexioned and curly-haired. They live in Ethiopia and the south of the Sahara. The second group of people is called Bushmen who live in the Kalahari. They are short and their skin is yellow. They live on hunting animals and gathering wild fruits and nuts. Their main occupations are hunting animals and collecting fruits. 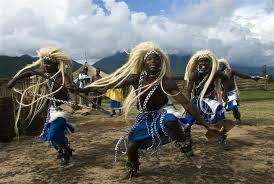 The fourth group is the Masai tribesmen who are tall. 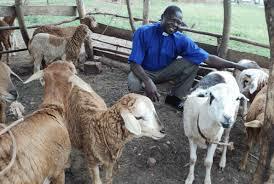 The life in the East Africa is rearing animals. The Arabs invaded Africa and settled there in the seventh century. They are mainly traders. After them came British, Belgians, French, Dutch and Germans. The British established their colonies here. Africa is the second largest continent but it is not very developed. Poverty, illiteracy, famine, epidemics and civil wars are the main reasons for the under development. Agriculture is not much developed in Africa. They grow both food crops and cash crops. Maize is grown in Savanna region, Egypt and South Africa. Another important food crop is Paddy which is cultivated in the eastern tropical coast. Wheat is also cultivated in the African savannas. The Nile Valley, Algeria, Tunisia, Morocco and Cape Province are also important for wheat cultivation. 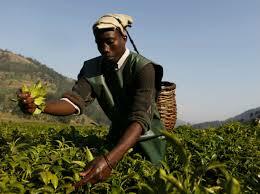 The main cash crops include cotton, tea, coffee and cocoa. The chief regions where cotton is produced are the Nile Valley, Uganda, Nigeria, Mozambique and Malawi. Coffee is cultivated in Ethiopia, Uganda, Zaire and West Africa. Tea is cultivated on the slopes of the eastern highlands. Ghana and Nigeria are the main producers of cocoa. Commercial farming is run by the government, multinational companies and rich people. It is conducted in Kenya, Tanzania, Botswana, South Africa and Lesotho. 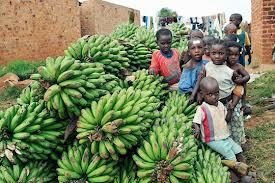 Such agricultural farms are called Estates, where banana, coffee, cocoa, rubber, tobacco and sisal are grown. 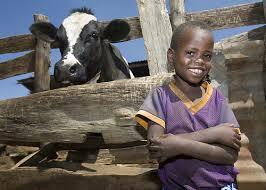 Animal Rearing is an important occupation in Africa. Cattle and sheep are reared in South Africa, where there are temperate grasslands. South Africa exports good quality wool. Cattle and sheep are also raised in Algeria, Morocco and Tunisia. 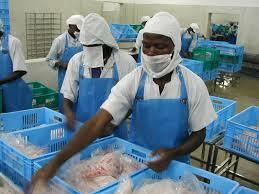 Large scale industries are not well developed in Africa. Most industries are agro-based and include textile mills, oil mills, hide processing and rubber factories. There are also some minerals based industries like iron, steel, copper and aluminum industries. Africa is rich in bio-diversity with the majestic and magnificent landscape. National parks have been established to attract tourists and to preserve wildlife. Africa is also known as the zoo of the world. Millions of tourists visit these national parks. Many valuable animals die due to lack of fodder and water. They have to be protected from poachers, the illegal hunters. Africa is multi-racial continent because there are more than 800 black African races. The second group of people is called Bushmen who live in the Kalahari. Wheat is also cultivated in African savannas. Commercial farming is run by the government, multinational companies and rich people. Cattle and sheep are reared in South Africa, where there are temperate grasslands. 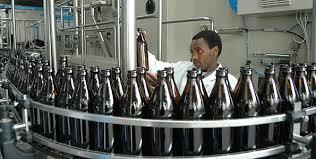 Large scale industries are not well developed in Africa. Africa is rich in bio-diversity with the majestic and magnificent landscape. We studied the countries namely North America, south America and Africa. Where would you put each continent on the following line? Discuss the causes if differences among these continents in your class. North America lies totally in the northern hemisphere but Africa and South America lie in both hemispheres. There are no big deserts and rainforests in North America but most parts of Africa and South America are covered by deserts and rainforests. Temperature climate with moderate temperature and enough rainfall is found in most parts of North America. But tropical and dry climate is found in most places of Africa and South America. North America is developed as an industrial continent, and South America is agricultural continent but Africa is least developed and poor continent. The exports of North America are manufactured goods, engineering parts, computers etc. but south America exports primary goods such as wood, timber, wheat, maize, cocoa etc. Similarly, Africa exports mostly primary products. What are the problems of tourism of Africa? Increment in poaching and lack of trained police force to combat it. Unusual drought which can kill many animals and make it difficult to supply water for tourists in hotels. Lack of careful environment and adequate grazing and imbalance of environment for animals. Lack of closeness to animals, plentiful food and water and vehicle to tourists. 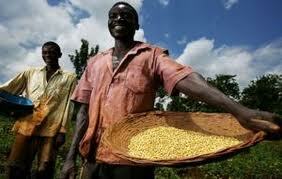 How is commercial farming in Africa practiced? In the areas where rainfall is reliable there are large scale agriculture farms, called estates run by rich people. They are running either on government ownership or on the ownership of multinational companies. The crops like banana, coffee coca, cotton, tea, mango, grapes, apple, peaches, olives, etc. 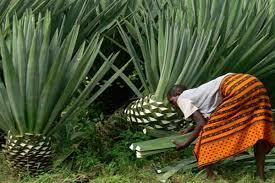 are grown in these estates and they are exported in large scale. This makes foreign currency. In such estates, there is proper management of food, water and house for settlement. Which one of them is not the characteristics of Africa? Which of of them is the largest reserves of mineral oil? Why is Cairo is developed in area of very little rain? ? Write a brief note on 'mineral resources' of Africa. Any Questions on 'Africa: Social and Economic Activities '?